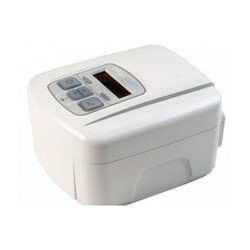 We are a leading Equipment Rental of bipap machine auto mode - philips, dream station bipap pro - philips, bipap machine avaps - st mode -philips, bipap machine sleecube - st - devilbiss, bipap machine sleecube-auto-devilbiss and bipap machine sleep cube-s - devilbiss from Mumbai, India. 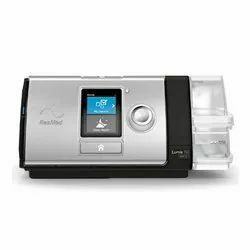 Bi-level positive airway pressure (BiPAP) can mean the difference between compliance and noncompliance for patients struggling to adapt to CPAP therapy. It emulates natural breathing through pressure relief, for an enhanced level of comfort. Dream Station devices empower users to embrace their care with confidence, and enable care teams to practice efficient and effective patient management. Non-Invasive ventilator provides the comfort of pressure ventilation and the consistent efficacy of assured tidal volume. 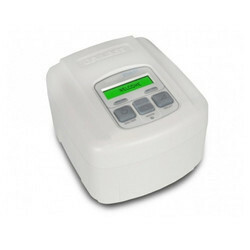 Automatically adapts to disease progressions and changing patient needs. 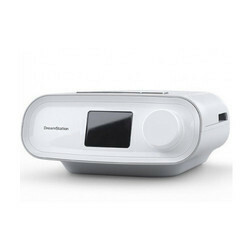 The Sleep Cube BiLevel ST device is designed to enhance the breathing of patients with spontaneous respiration Unlike a ventilator, it will not completely take over the breathing for the patient, but instead helps a patient who has chronic respiratory failure, difficulty breathing, or obstructive sleep apnoea,it is administered via a mask and is non-invasive. The BiLevel ST can also be set to a timed mode, where the clinician sets the BPM (breaths per minute) and % IPAP; or it can be set to a combination of Spontaneous and Timed operation, where the unit cycles in response to the patient breathing rate, but switches to the timed operation if the patient fails to take a breath within the timed interval. SmartLink module and software available for more detailed patient therapy managementData is transferred to the PC via SD card for further analysis and reporting using the SmartLink software package. 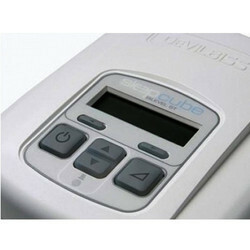 Sleep Cube Auto Bilevel With an auto-adjusting algorithm that constantly monitors for apneas and events, the Sleep Cube Auto Bilevel adds an extra level of comfort for those who require higher pressures. 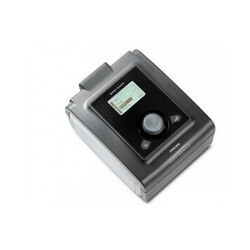 Automatically adjusts to deliver optimal therapy during sleep upon detection of Bilevel pressures. Pressure difference between the IPAP pressure setting and EPAP pressure setting can be up to 22 cm H2O. A Soft Start feature: This permits the patient to acclimatize to the pressure after the unit is powered on. 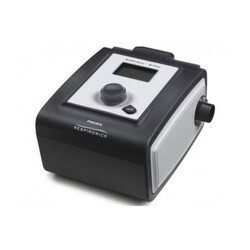 Instead of providing air at a constant pressure all night, the machine senses if you are breathing in or out and varies its level of pressure accordingly. On inspiration a higher pressure is needed to prevent apnoeas, hypopnoeas or snoringOn expiration a lower pressure is adopted to ensure patient comfort with less resistance. A BiLevel S is particularly beneficial for those users who require a higher pressure setting.